When does Once Upon a Time ABC Season Two air? As we all know by now, the executive producer, Adam Horowitz has announced that ABC’s Once Upon a Time has been renewed for a second season. Go ahead, scream, we did. After watching that dramatic ending to season one, when will we see the next season air? ABC’s Once Upon a Time season two will air September 2012. At the end of season one, we watched Mr. Gold pour the magic potion into the well. This caused a purple smoke to overtake Storybrooke. This represented magic powers coming to Storybrooke, where Regina / The Evil Queen being quite pleased with her sinful smirk. This means not only does Mr. Gold get his magic, so does Regina. What is going to happen? We have no idea, but a lot of chaos is certainly to come. What fairy tale characters will we see in season two? Who will we not see in season two? Due to rights, we will not see Peter Pan or Captain Hook in season two. Who do think we will see? Our guess (and this is only a guess) is characters from the Wizard of Oz. We say this because there is a new Disney movie for the Wizard of Oz expected to debut March 2013. For some that may have noticed, when the Mad Hatter took Regina to collect the apple, they arrived to a room with a door that may have looked like it led to Oz. What do you think? We also learn more about Dr. Whale, which is expected to be a jaw dropping moment. First, we wondered if Dr. Whale was Henry’s father, however, we aren’t so sure that is the case. Especially, since Emma has not addressed Dr. Whale about the situation. If anyone knows who Henry’s father is, it obviously would be Emma. This is what we have discovered so far. Let us know what your theories are. i dont think it is a good idea for that. the story wont be interesting if he was the grandpa of henry. Yeah- I think Henry’s dad is some other no name character that hasn’t been in the show yet, and probably died already and I bet that Emma and Henry are going to eventually meet up with the Pinocchio guy and have their happy ever after as well as Snow and charming who will eventually defeat regina, and I believe that the madhatter guy will finally find his daughter. And then their will be no more evil upon them and everyone will have their happy ever after. Secondly, I still think Dr. Whale could be Prince Eric (Or the Little Mermaid’s prince) as the simplest solution is always the obvious one. Ithink more like Ariel’s father King Triton! OK well she may not be a princess in the legal sense, but she does have characteristics. And that’s what Disney creates their characters from. Mulan is not a Grimm Tale! “Hua Mulan (Chinese: 花木蘭; pinyin: Huā Mùlán; Wade–Giles: Hua1 Mu4-lan2) is a legendary figure from ancient China who was originally described in a Chinese poem known as the Ballad of Mulan (木蘭辭). In the poem, Hua Mulan takes her aged father’s place in the army. She fought for 12 years and gained high merit, but she refused any reward and retired to her hometown instead. If you are going to do a non-Grimm Tale character, do Bluebeard. Once upon a time isn’t based on Grimm tales it’s based on Disney and by Disney’s standards she is a Princess….I really want to see Briar Rose(sleeping beauty) in this and yet to see her! I hope that Rumple is not the grandfather of Henry. I hope that ema gains super powers to fight the queen. And Ema talks to her family snow and charming.!!!!!! They already use other characters besides Grimm Fairy Tale ones on the show. Mulan belongs to Disney and so does ABC so that’s why she will be on the show….. I think you could be right with the Nancy & Kal-el info on his website. I love the show i tape every eposide and i dont think i would like it if regina gets her magic back after all shes done frankly i have been watching it to see when she will get whats coming to her. thats what im waiting on.i hope its in this next season. I dont’t think she will be getting her own back as such, remember that in fairy tales, the good guys never really do anything bad to the ad guys, she might conform her ways though. I really hope that rumplestilskin is not the father or any relation to henry or emma. I think that it is someother noname. A character we haven’t seen yet. And i certainly hope that “Her Majesty” Regina, gets what she deserves. And I hope that everything w/the magic and all, returns everything back to the fairytale work eventually. And that Pinocchio and Emma get together. They make a nice couple and maybe its them two that create henry. Ya never know. He seems to like her in the real world, and she seems taken with him as well. 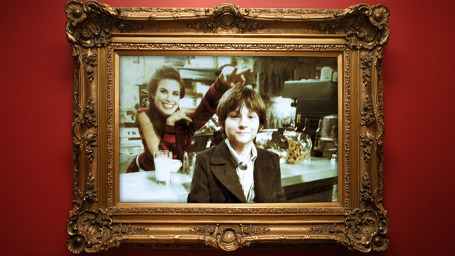 It would prove to be one hell of an ending, that him and her get together and she has a son by him and calls him henry. Something to think about. um i don’t think so, considering the fact that Emma has already had Henry, she would know who his father is. It wasn’t an immaculate conception. I really think that Rumple has a good chance of being Henry’s grandpa, due to the fact that Rumple’s own son disappeared to this world some time before the rest did and we still need to know what happened to him! Yes, i agree. I think Rumple could see what his son’s was doing in our world. Hence the outcome with Emma conception. Dr. Whale is meant to be a surprise when we find out who he really is. I wonder who he could be. I remember in previous episodes that he is kinda perverted in a way, always staring at ruby (red), younger girls. What kind of character would represent this? Also reading another comment from a different website, Dr. Whale could be the whale from Pinocchio. If jimminy cricket was able to be a cricket, then he could be a whale. so i know a lot of people want the queen to get hers,BUT I think her continual bad behavior will keep the show interesting,think about it….no queen,what’s the point? I agree. There is so many other options about her, like her mother….what happen to he or could her true love be alive in Storybrooke….could his heart be locked up too as Regina has her mum power. Another thought….once the magic is back, will they be back to there realm or still on planet earth. Will little Henry have special magic powers????? there be a season 2. I want to know what happens between gepetto and pinoccio does gepetto realize that the guy who was helping him was his son i hope that this show has many seasons to come because me and my son enjoy watching it every sunday that it is on and i would like to find out about everything else that is going on their was alot of questions that i had about the season that i did see. Am I the only person who is upset by how adoption is portrayed in this series? Don’t get me wrong, I still love the show and I know that for those in the foster-care system life can be miserable but this show makes it seem as though a child who is adopted from birth cannot be as attached to his/her adoptive parent(s)as he/she would be to their birth parent(s). This is simply not the case for everyone. I mean, if we find out that Regina has been abusive of Henry then I could understand how he could show NO love for her at all but she seems to truly love him. So why can’t Regina be redeemed by her son’s love for her? I hope in the end she can be healed through love. It doesn’t seem like that is the direction the show wants to take this though. This is the only part of the show that makes me sad. I’m adopted and I absolutely adore my adoptive parents. Actually, I’ve met my birth family and I’m certainly not impressed. Maybe if my birth mother was the daughter of Snow White and Prince Charming I’d find her cool but that wouldn’t negate my feelings for my parents now, EVEN if they had been evil in the past. Idk, I hope the writers take time to consider the options for Regina. Can’t wait for season 2! Best series ever! With that said, I think it’s obvious Who dr.Whale is.. We’ve already encountered some of the seven dwarfs, such as grumpy or sleepy, and with that in mind, i think dr.Whale is DOC! Would make sense now, wouldn’t it? i think dr. Whale is rumple’s son Baelfire.. I think that the queen of hearts will be Regina’s mother, banished by Regina to wonderland. I’d like to see how Regina defeated her and how her father died…she resurrects him in wonderland, does that resurrection not work in storybrooke or has he died again? I don’t want this shows to go for too long, it’s a great show and I don’t want them to drag it out like they did lost where it sucked after season 3 and only got better in the last season! 5-6 seasons maybe? Not sure how they’d carry the plot for that long though!? With all the jumping back and forth with time frames in Story Book land, I can see how this get’s confusing. The queen killed her own father to get his heart after she had brought him back from Wonderland. At least as far as I can tell. She had to take the heart of who she loved most in order for the curse to work. I agree completely. Season 2 and maybe a season 3 at most! dang it!! i was really looking forward to seeing Peter Pan!! However, Ariel should be interesting. Mulan? Uhh, can’t say I’m looking forward to it. As for the Dr. Whale issue, I always thought that he’s the “whale” from Pinocchio’s story. o_O I just assumed that the entire time. But that’s not really jaw dropping… And then as for the Regina’s mother issue, i definitely think she was the Queen of Hearts and I definitely think that, since they referred to her as the “miller’s daughter” she’s the same miller’s daughter from the Rumplestiltskin story!! and even though I love love love Graham I am actually a Jefferson/Emma shipper. Wow I could go on for forever on this show. I love it almost as much as I love LOST. UGH I just cannot wait to watch this OUAT again!! We’ll definitely be seeing Princess Aurora, as she has already been cast. Sarah Bolger has been cast as her. So, aside from Aurora, I think we’ll see Ariel, and either Jasmine or Rapunzel. I think we could possibly see Merida in Season 3. We might see Goldilocks and the Three Bears. We could see the Prince and Princess from actual Grimm tale “The Frog Prince”, however. We might even see the the Prince and Princess from “The Princess and the Pea”. Dr Whale = Prince Eric. As for Mulan–maybe it would be a “fantasy” version of China, somewhat like Avatar the Last Airbender. Call it the “Dragon Empire” or the “Kingdom of the Dragon”. Maybe tie it in with Maleficent? Maleficent studied magic in the Dragon Kingdom? Who knows.